Dogs have become an integral part of current counter poaching operations. 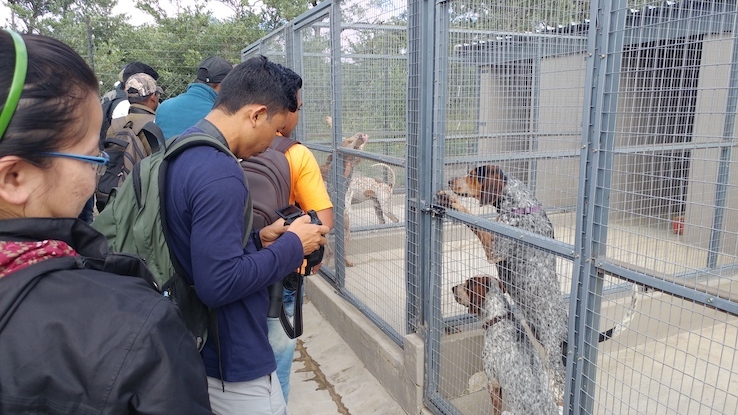 In combination with aerial and ground patrols, dogs have become the 3rd greatest component of successful apprehension of poachers in protected areas. A visit to our K9-Unit gives some insight into their role and how we can’t afford not to have them on tactical teams any more. This class is approximately +-1 hour at our field ranger base and conducted by one of our African Field Training personnel. An up close view and informative talk on the operational side of keeping patrol dogs. Download complete Guidelines to our Skilled Practitioner Classes for Study Abroad Group Leaders and Coordinators here.